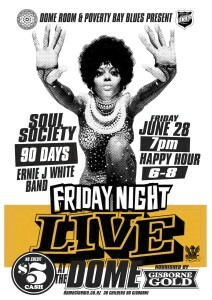 Our first ever Friday Night Live! 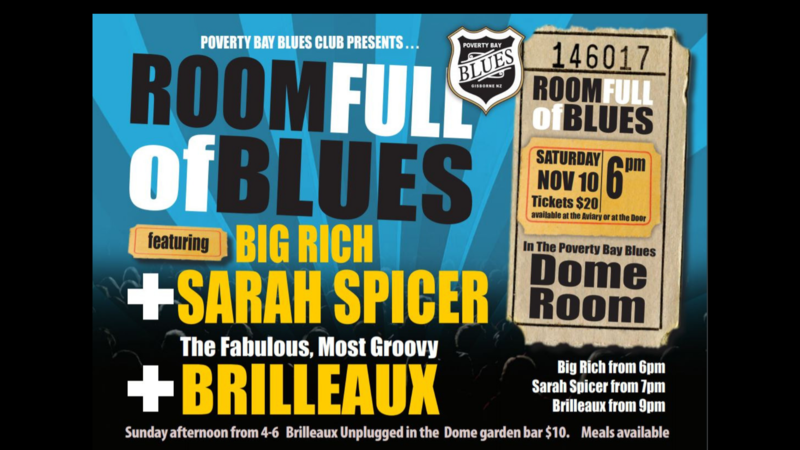 In an initiative to help develop local music, regardless of genre, Poverty Bay Blues Club has worked in conjunction with the Dome Room to create these special evenings for local musicians and music fans of all ages. The first Friday nite session was a great success and enjoyed by all in attendance. 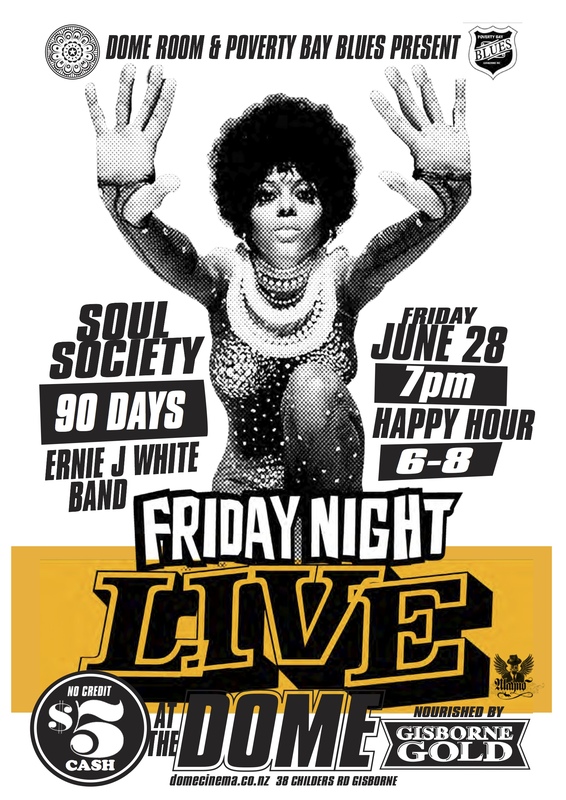 Many thanks to the support of Soul Society, 90 Days and the Ernie J White Band!